Herb Alpert is a giant in the music business. He was a ground-breaking musician with his band the Tijuana Brass (and solo from 1968 on) who wed jazz with Mexican rhythms and opened the door to an entire style of music. He was also the co-founder (with partner Jerry Moss) of A&M Records, the label which released his music, but also introduced the world to his prot�g� Sergio Mendes, the Carpenters, Cat Stevens, Peter Frampton, Styx, Supertramp, Bryan Adams and Janet Jackson (who sang on Alpert's last top-ten single, the 1987 hit "Diamonds"). 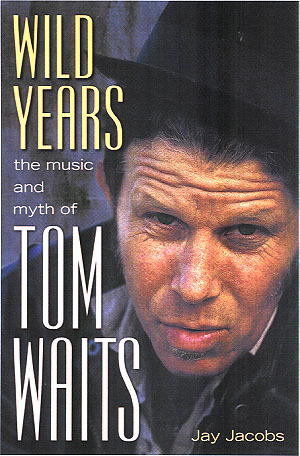 Since Alpert sold his labor of love in the early 90s, he saw his label get shuffled into other imprints and essentially disappear. Alpert and Moss started a new company, Almo Sounds (who fared best with the band Garbage.) However, as far as his reach has gone as an exec, it was always his music that mattered most to him. He held on to the rights to his old albums, so though there have been a few anthologies out over the years, the actual records have been hard to come by on disk. 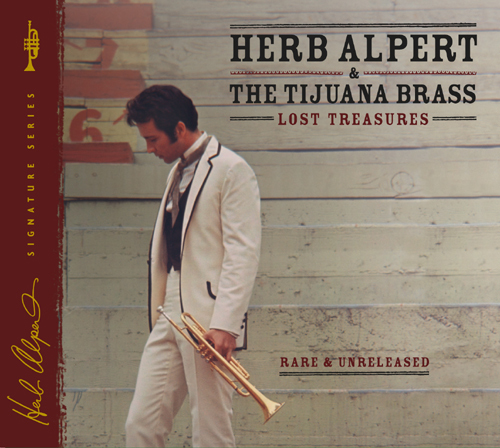 This is the first wave of Alpert & the Tijuana Brass' original albums being released on remastered CDs on Shout! Factory (a label made up of former execs from Rhino Records, before that imprint also got swallowed up by a major). 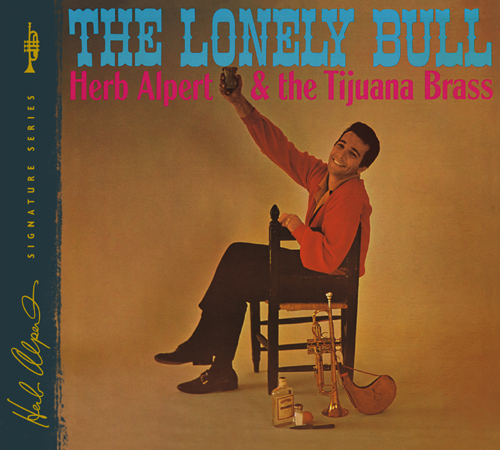 Alpert's first album was the 1962 record The Lonely Bull, which set the template for the Brass' sound; a series of swinging jazzy (mostly) instrumental Mexican cantina band takes on Alpert's originals and favorites of the day. The solemn title track, with its exotic feel of a bullfight, became a huge hit. Other interesting tracks are the peppy "Struttin' With Maria" and the oddly titled "Tijuana Sauerkraut" with its oompah horns and ya-ya-ya-ya vocals. The best covers here are a lovely version of Antonio Carlos Jobim's bossa nova classic "Desafinado" and a surprisingly funky take on Chubby Checker's "Limbo Rock." The 1965 album South of the Border was a mixture of Mexican standards, more pop hits and a few originals written by long-time Alpert collaborator Sol Lake. It is obvious from the swinging opener, the title track, that the band was even more comfortable with their sound, with a sure, steady beat that feels like a TJ street festival. They also have a gorgeous, strutting cover of "The Girl From Ipanema" and the wonderful "Up Cherry Street." You can even forgive the odd experience of hearing strong Mexican accents singing the chorus to "Hello Dolly." Probably the most intriguing music for fans is on the last CD, Lost Treasures. This is a series of 22 original recordings which were never officially released which have been pulled out of the obscurity. This CD is, like his actual albums, an intriguing blend of original compositions and horn-laced covers of then-current pop songs. Undoubtedly the most exciting lost treasure was a cover of an obscure Dionne Warwick song (written by Burt Bacharach and Hal David) that Alpert pictured as the follow-up single to his 1968 solo hit "This Guy's In Love With You" (his only number one single and one of few songs that he actually sang). The song was called "(They Long To Be) Close To You," but Alpert decided not to release the song, instead giving it to a new A&M group, The Carpenters. Listening to the finished product, this was probably the right move. Alpert's vocal limitations are more blatant on this tune than on "This Guy...", and the perky marimba beat doesn't really feel appropriate to the lyrics. Looking back at the recording three decades later, it is an interesting curio, but Alpert's version would have never been the classic that the Carpenters' version was. Other songs work better. There are lovely covers of Spanky & Our Gang's "Lazy Day" and Roberta Flack's "Killing Me Softly." Alpert's version of "Popcorn" is even better than the proto-synthesizer hit version of the song by the one-hit-wonder group Hot Butter. Originals like "I Can't Go On Living, Baby (Without You)" and "Flowers on the Wall" are much too good to deserve their obscurity. A few of the covers do seem a little inappropriate. The happy horns don't seem to fit James Taylor's mopey ballad "Fire & Rain" (though, oddly, the same tonal contradiction works splendidly on the cover of Gilbert O'Sullivan's even more downbeat "Alone Again [Naturally]"). "The Tennessee Waltz" is just such an overdone old song that Alpert can add nothing to revive it. Copyright � 2005 PopEntertainment.com All rights reserved. Posted: March 1, 2005.